’Twas the season for lists: grocery lists for holiday feasts, wish lists for holiday gifts and, of course, lists for the biggest stories of the past 12 months. 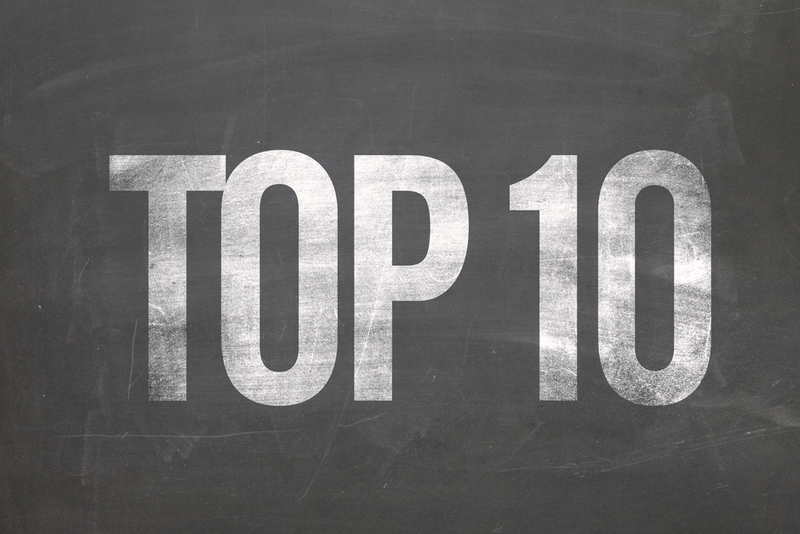 In the spirit of counting down those final seconds of the year, I submit to you the list of top 10 tech stories that captured my attention in 2013. The next generation of smart gear is here – or it’s in the development stage, anyway. It’s called Google Glass, and according to the Los Angeles Times, 10,000 people are testing this head-mounted device. What can it do? The better question may be “What can’t it do?” The wearable computer gives the user the power to take pictures and shoot video, talk on the phone, text, and surf the web – among other things. Sticking with gizmos and gadgets, Samsung tried to make a big splash by beating rival Apple to the market with the Galaxy Gear smartwatch. It turned out to be a giant flop. Tech critics immediately panned the product for a number of reasons, many of them operational. There was a valuable (and costly) lesson here – for Samsung and its competitors alike: Just because you’re first, by no means you’re the best. Imagine traveling between San Francisco and Los Angeles – a roughly 400-mile, six-hour drive – in 35 minutes. Billionaire Elon Musk wants to make it happen by building the Hyperloop. “High-speed transit” could have a whole new meaning. Any story about a virus in space sure sounds like the plot for a science-fiction thriller. But that’s not the case in this instance. Eugene Kaspersky, the Russian security expert, said the International Space Station (ISS) was infected by malware contained on the USB stick of a Russian astronaut. “The space guys from time-to-time are coming with USBs, which are infected. I’m not kidding. I was talking to Russian space guys and they said, ‘Yeah, from time to time there are viruses on the space station,'” Kaspersky said. Kaspersky revealed the news while speaking at an event in Australia. But he didn’t discuss the extent of the damage caused by the virus, or how the issue was resolved. Dealing with a data breach is a nightmare scenario for any company. This fall, Adobe announced it was victimized by a cyberattack that exposed credit card and personal information of 2.9 million accounts. Then, in the weeks that followed, the company said data was stolen from an additional 38 million accounts. That was bad news, for sure. But it only grew worse when a computer security firm said it discovered data from 152 million Adobe accounts on the Internet. Talk about a data breach for the ages. To say there were “glitches” in the website for the Affordable Care Act is quite an understatement. Key issues went unresolved prior to rollout, and they caused the site to continually crash. And that information needed to be verified before consumers could begin browsing and comparing plans, bringing things to a grinding halt. Talk about a traffic jam. At least initially, Apple customers either loved or hated it. But there was no in-between when adding their two cents about the revamped operating system, iOS 7. Based on the drastic redesign – not to mention bugs in the software – millions of users hesitated to upgrade. And many who said goodbye to earlier software versions were not-so-secretly wishing they could go back. It seems the hysteria is dying down. As 2013 comes to a close, Apple reports that 76% of its tablets, iPhones and iPods are running iOS 7. Thursday, Nov. 7: That’s the day Twitter, in its seventh year of existence, began offering shares on the New York Stock Exchange (NYSE). The company that made “talking in hashtags” the subject of this viral video starring Jimmy Fallon and Justin Timberlake priced its initial public offering at $26 per share. Shares opened at $45.10, before closing the day at $44.90. You expected this story to top the list, right? Well, the second security breach story of this top 10 ranks a close second. Edward Snowden, formerly a contractor for the U.S. government’s National Security Agency (NSA), leaked thousands of classified documents that revealed the agency’s massive domestic surveillance program. In blowing the whistle at 29 years old, Snowden revealed that the NSA monitored U.S. citizens’ Internet habits, email exchanges and phone records, among other forms of communication. The Boston Marathon bombing in April rocked the United States. And in the immediate aftermath of the attack, technology played a crucial role in the manhunt for the bombers. “One of the lessons of this chaotic week is that advances in technology have completely changed the nature of a mass public crime scene. Everyone is a witness; everyone is plugged in to the Web,” Brian Resnick wrote for National Journal. Smartphones became instant investigative tools. Boston police made a plea for the public to submit photos and videos taken around the finish line – anything that might provide clues to the identities of the bombers. Images from seemingly every angle of Boylston Street came pouring in. And in a matter of hours, the world saw the attackers’ faces for the first time. Social media was equally significant. Images of the attackers and information about them went viral. Reporters used Twitter to chronicle the investigation in real time. Facebook timelines served as virtual “Wanted!” posters. There was nowhere to hide. Surprised by my top story? Think there’s a story that should have made the list? Let me know.